Cathy Guerrero is truly a woman after God’s own heart. Called and anointed by God to speak prophetically and redemptively the life-transforming truth of His Word to His people. One of her many gifts is to help other women understand how to simply apply God’s Principles to help improve their lives. Cathy is a woman who is uniquely gifted and qualified to minister to those whom the Lord brings her way, as a person who has been seasoned and tempered by the challenges of life and her rich experience of the Lord’s faithfulness. She is a much sought after conference speaker ministering to diverse groups of people. She and her husband, Jason Guerrero, Ph.D. minister according to the framework of their calling as an apostolic and prophetic team, bringing with them a combined ministry experience of over 66 years. Likewise, as they’ve pioneered the planting of a local church called Regency Christian Center Int’l located in Whittier, California, they understand the importance of commitment, character and love for God’s people. Cathy is the founder of Life Builders Seminars which is a women’s ministry dedicated to impacting women with the Word of God. Carefully planned and strategically carried out, each monthly seminar and event is designed to discover and develop the potential of each woman and to bring them to a place of fulfillment and dignity in order to fulfill their destiny. As a growing ministry, Life Builder Seminars currently have 6 chapters meeting in L.A., Orange and San Diego counties. Additionally, Cathy has earned a Bachelor degree in Theology, a Master of Arts/Theology degree in Professional Christian Counseling and her Doctorate’s Degree from Vision Christian College, Ramona, California. With a vision to see believers grow and fulfill their position in Christ, she was a teaching faculty member for Regency Bible College, the educa­tional arm of Regency Christian Center as well as teaching faculty for the Institute of Christian Counseling. Cathy ministers nationally as well as internationally ministering in the Philippines, New Zealand, Fiji, Japan, South America and West Africa. 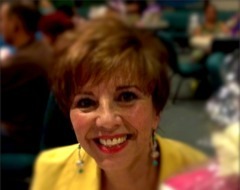 Prior to entering full-time ministry she was a successful business owner for over eighteen years.